Campagnolo 11 Speed Alloy Bar End Shifters have been a long time coming. In fact, it took Campagnolo a full two years to unveil bar end shifters after their introduction of the 11 speed drivetrain. In typical fashion, Campagnolo has made these worth the wait. The reason for our excitement is that they use a return to center function. The ergonomic benefit is obvious to anyone who has ever time trialed: Gone are the days of hyperextending your fingertips to push the lever into your highest cogs. Even better, the lever position can be adjusted to suit your bar layout and your preferred grip. Like their Ergopower levers, the 11 Speed Bar End Shift Levers can make sweeping gear changes. This allows you to shift up to three gears at a time, up or down the cassette. Of course, you can also make single gear changes. 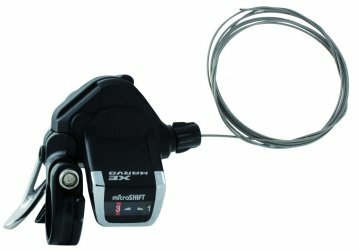 The front shifter shares the same basic function as its Ergopower counterpart. It features indexed movement that allows you to easily and accurately trim the front derailleur to accommodate any frontrear gear configuration. And after each shift, the levers return to their pre set center position. These Campagnolo 11 Speed Alloy Bar End Shifters have a compression plug that allows their installation in any modern time trial or clip on aero handlebars. Just remember when you install them, our photo shows these as you'd see them while on the bike. They come with a Campagnolo stainless steel inner shift cable and housing set. Your browser isn't supported for displaying eBay items. Go to eBay to search for Campagnolo 11 Speed Alloy Bar End Shifters.